Court documents obtained by NBC Bay Area on Friday reveal the troubled past of the San Jose man charged with targeting an Oakland bank because he was waging a jihad on America: the one-time window washer suffered from bipolar disease and substance abuse, along with being paranoid that people were out to get him. The FBI arrested Matthew Aaron Llaneza, 28, on Friday after they said he tried to bomb a Bank of America in Oakland, not knowing that the bomb was fake and he had been the target of an undercover operation for months. His federal public defender declined comment. However, one civil rights expert, Zahra Billoo, executive director of the Council on American Islamic Relations in Santa Clara, said that this smells of entrapment and is especially upsetting because the defendant has mental health issues. 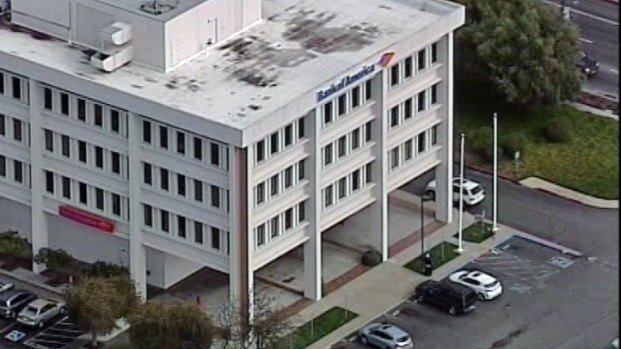 A California man who thought he was meeting someone linked to the Taliban was arrested Friday morning after federal agents say he tried to detonate some sort of car-bomb at a Bank of America branch near Oakland's airport. "Did the FBI take a [mentally ill] aspirational terrorist, make him an operational terrorist and then thwart their own plot?" Billoo asked. "CAIR has been saying this for years now: It's the FBI's job to stop operational terrorists. It's not the FBI's job to enable aspirational ones." 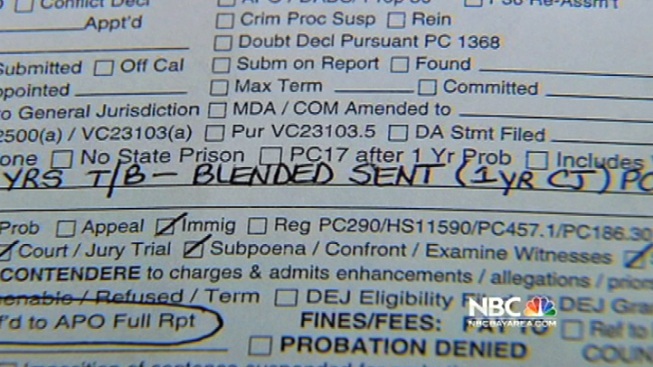 His former attorney, Cameron Bowman, told NBC Bay Area that Llaneza was a troubled individual in a lot of ways. "His family had a lot of concern for his mental health. The court had a lot of concern about his mental health issue... outside experts felt that he was bipolar, possibly schizophrenic," Bowman said. 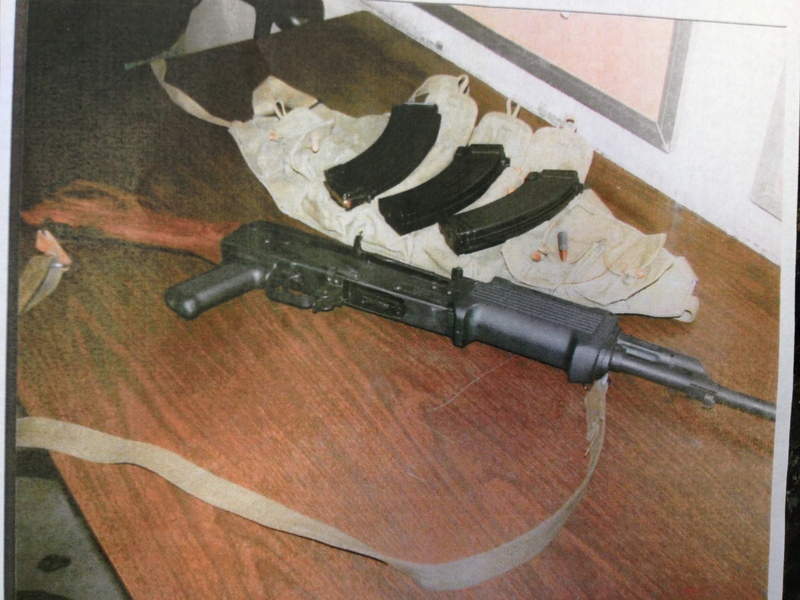 According to Santa Clara County probation records, Llaneza's past criminal history including serving 186 days in county jail for transporting an AK-47 and magazines illegally (pictured below). He plead no contest to the charge in 2011. The documents indicate that Llaneza likely suffers from mental health issues, and showed up at a local hospital in April of 2011, acting very "combative" and "very strange," according to the documents. At the hospital, Llaneza told officers that he suffered from depression and Post Traumatic Stress Disorder, resulting from "drug cartels attempting to recruit him into their gangs in Arizona." Records show that Llaneza had once lived in Mesa, Ariz., and he in fact told investigators he had recently moved to San Jose. He also stated he was an "Armorist" and knew how to assemble firearms. He was placed on a mental health hold, the documents state. Officers then found Llaneza's father, Steve Llaneza, who said that he was becoming increasingly concerned with his son's behavior. He also said his son has converted to Islam. On the night his son was taken to the hospital, the senior Llanenza said his son had consumed a large amount of alcohol and became argumentative. The father called 911 and told police his son possibly had weapons in his RV. There, they found an AK-47 and three loaded magazines, the records state. The father turned everything over to police. ATF records show Llaneza was the registered owner of an AK-47, two 9mm pistols and a .22-caliber pistol. In a following interview, Llaneza said that he bought the gun in Arizona to protect himself from "people who were after him." He said he didn't know the AK-47 was illegal in California. He also told police that he had previously tried to kill himself. He was represented by San Jose defense attorney Cameron Bowman at the time. Probation records show that Llaneza is single with no children and last worked in May 2010 as a window washer in Arizona. He was taking Zyprexa and Remron for psychosis and suffers from bi-polar disorder, according to the reports. He also suffered from substance abuse. He had no other criminal history in Santa Clara County. NBC Bay Area's Chief Investigative Reporter Tony Kovaleski contributed to this report.